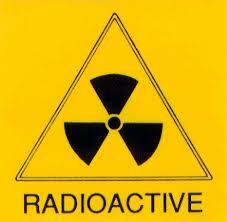 Nuclear energy is not the “clean” energy its backers proclaim. For more than 50 years, nuclear energy has been quietly polluting our air, land, water and bodies—while also contributing to Global Warming through the CO2 emissions from its construction, mining, and manufacturing operations. Every aspect of the nuclear fuel cycle—mining, milling, shipping, processing, power generation, waste disposal and storage—releases greenhouse gases, radioactive particles and toxic materials that poison the air, water and land. Nuclear power plants routinely expel low-level radionuclides into the air in the course of daily operations.While exposure to high levels of radiation can kill within a matter of days or weeks, exposure to low levels on a prolonged basis can damage bones and tissue and result in genetic damage, crippling long-term injuries, disease and death.